Hello, I’m Charlie and I’m an alco…. Hang on wrong profile, that’s for Tinder. I’m Charlie and I’m from Aberdeen, I’ve been a runner for nearly 7 years but an idiot for much longer. I’m married to Laura and am kept on my toes by Calum who is 5 and Cameron who is 2. I started running in 2013 when I decided fags weren’t cool any more, and since then I’ve been increasing my distances year on year. 2018’s highlights were the Highland Fling and the Great Glen Way Ultra, so the WHW is an unnatural progression. 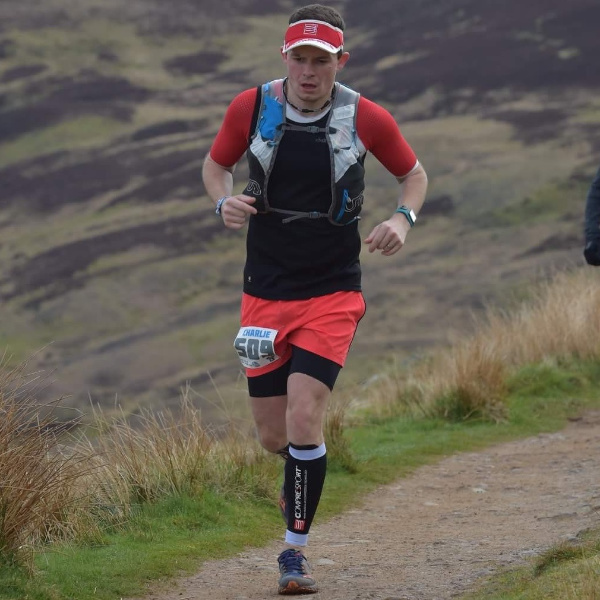 I’ve run the Highland Fling and the Glencoe Marathon before, so I’m familiar with a decent amount of the landscape (and what it looks like through tears! ), it’s a MASSIVE and exciting challenge, and I guess I’m a glutton for punishment! I think I’m meant to put something like “sub-24 hours” in here, if that happens I’ll be delighted, but really I just want a finish, coupled with a great day out in an amazing part of the world. And if I can handle a pint at the end that’ll do nicely!